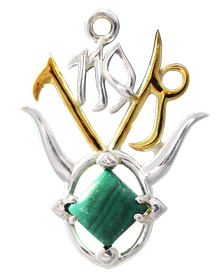 Malachite, a stone to clear past traumas. 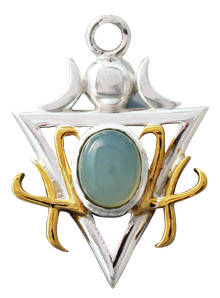 It is surrounded by the Zodiacal signs for Taurus, Virgo & Capricorn, Earthly symbols to bring Security and GROUNDING. 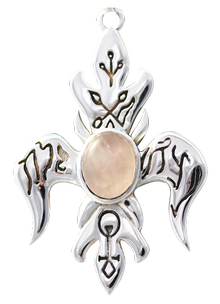 Rose Quartz set on a mount inscribed with ancient Hebrew script of Love & Victory on the Fleur de Lys. 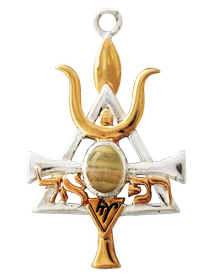 Representing Peace, LOVE & Understanding through the Planet Venus. 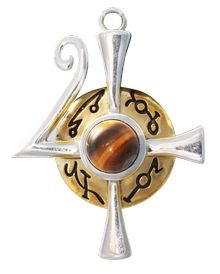 Tigers Eye, a stone for Inner Confidence. 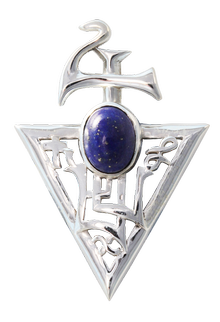 It is set on a mount of Symbols & Ancient Scripts of powerful Jupiter for great SUCCESS. 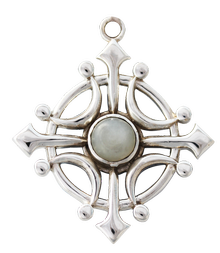 Iolite was used by the Vikings to assist with navigation on long Sea Voyages. 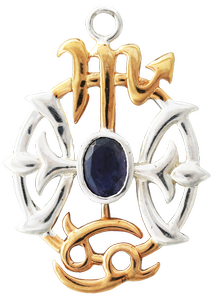 The Powers of the Iolite are associated with the Element of Water, enhanced by the Zodiacal Water signs of Cancer, Scorpio and Pisces which surround the Gemstone. 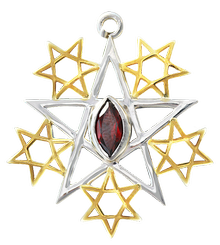 Garnet set on Symbols of Quintessence, the fifth and highest Element after Air, Earth, Fire & Water. 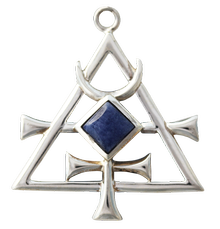 Containing a genuine Lapis Lazuli, stone of Prosperity and Abundance, with the Sigil of Jupiter’s Spirit. 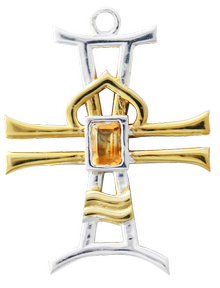 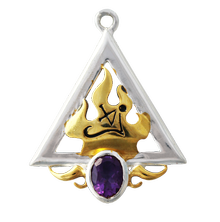 The pendant can be worn for WEALTH. 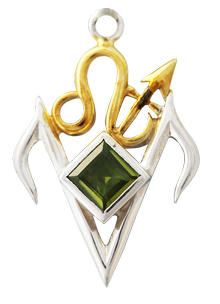 The Quartz stone is surrounded by the Horns of the Cusp of the Moon and is mounted on the Moon’s Planetary Spirit, Phul. 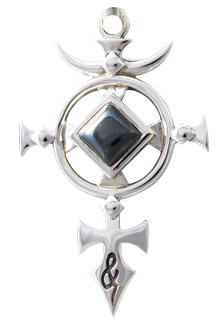 The four Hebrew letters stand for Levanah, which means “Moon”.